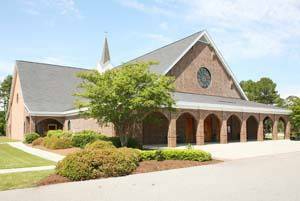 1960’s: Mass was celebrated in a non-denominational chapel on Pawleys Island and at the Litchfield Inn. 1984: Precious Blood was listed as a mission of St. Mary’s Church under Father Theodore Cilwick’s pastoral guidance. The diocese purchased 6.6 acres on Waverly Rd. A small man-made pond, a low white stucco house and a white building were on the property. The white building, once a four-car garage and today Founders Hall, was now the Catholic Church in Pawleys Island. The structure on top of the “church” was to become our first rectory. 1985: The first Mass was celebrated in this new worship space. 1986: In February, the bishop issued a decree establishing the 84th parish of the diocese and naming it “Precious Blood of Christ.” Rev. Thomas Evatt, who shared his time and ministry between PBOC and St. Mary’s in Georgetown, lived at St. Cyprian Church in Georgetown. In May the diocese purchased 10.7 acres next to our property. 1988: Rev. Francis J. Travis arrived to become Precious Blood of Christ (PBOC) Catholic Church’s first full-time pastor. While Fr. Travis was here, plans were made to enlarge the garage because our parish was increasing in size. 1990: Rev. Charles (Chuck) J. Snopek became pastor in October. 1992: The church was enlarged to accommodate the increased size of the parish. 1995: Growth of our parish continued and plans were formulated to build a new church. 1997: Our parish purchased the adjoining acreage from the diocese. 1998: Construction of our new church began. 1999: Fr. Chuck, due to illness, left our parish shortly after the dedication of the new church. Father Patrick J. Stenson, MSC (Fr. Pat) arrived and took over administrative duties. 2000: Fr. Pat was officially appointed Administrator on August 14. 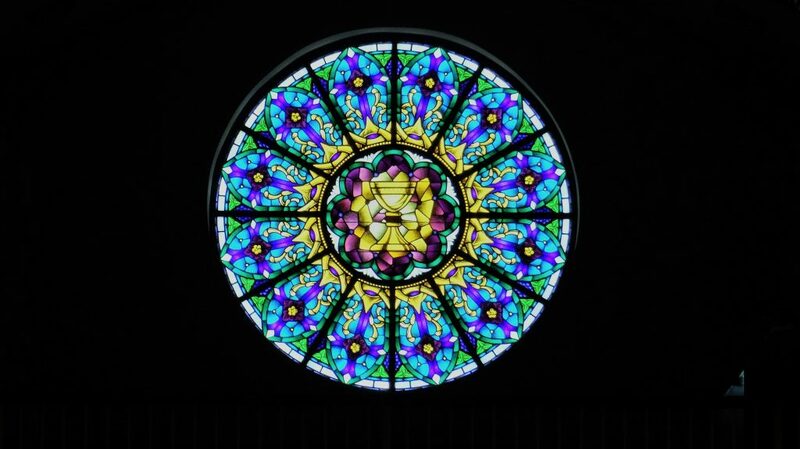 2001: The columbarium project was dedicated on September 30. 2006: Bishop Robert Baker dedicated the Parish Life Center on September 17. The original house, which had become church offices, was razed and the columbarium moved to its location. 2007: Father Pat’s Lunch Kitchen opened in Founders Hall in April with monies from the first Tastes at Pawleys. 2011: Bishop Guglielmone recommended to Fr. Pat to find a permanent rectory for the parish. The decision to purchase an existing building was found to be the best option including: cost-effectiveness, timeliness, privacy, and security. 2012: The Parish purchased a Rectory off campus. 2017: Fr. Pat retires; in March Fr. Paul MacNeil is named pastor. 2018: There are over 1100 parish families registered.